Here at Birch Grove, we understand the strong connection between healthy bodies and healthy minds, and we’re committed to facilitating both. We serve a hot lunch on Mondays and Tuesdays each week ($1.00/$3.00 per meal including milk), and students bring brown bag lunches on Wednesdays, Thursdays, and Fridays. Students may purchase milk for .50 per milk on brown-bag days. Because proper nutrition is such an essential component of the learning process, we ask that you not include candy, gum, soda pop, or any other high sugar or caffeinated beverages in your child’s lunch. Also, we will make microwaves available for heating food, but please do not send food that your student will need to cook. Once a month, we hold Community Lunch at Birch Grove. On this day, parents, grandparents, and community members have the opportunity to eat with our students. 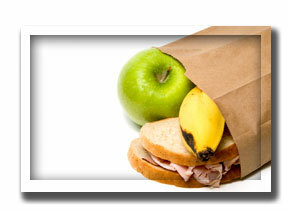 Lunch prices on Community Lunch day are $3.00 for students and $5.00 for adults. We will send out a menu prior to Community Lunch. If your child does not prefer the menu items we will be serving, please send a lunch with him or her. Here at Birch Grove Community School, we know children need access to healthful foods and opportunities to be physically active in order to grow, learn, and thrive. Please take a moment to read our Wellness Policy and learn more about our beliefs on physical activity and nutrition.